Unless you are a gifted public speaker, you are likely to get nervous doing a presentation. Standing before a group of people who stare in silence while you are the only one talking is nerve-wracking. My hands tremble, my voice shivers, and I forget lines despite how much I practiced. Public speaking used to be one of my worst enemies; I even gave up on my dream to become a musical actress because of the fear. Whenever I have been assigned to do a presentation, either in a small or large group setting at school or work, it gives me a headache just thinking about it because, not only am I an introvert, but also English is not my first language. I needed to overcome my weaknesses because I cannot avoid the situation as I work my way up to a professional position. So, fellow introverts, I would like to share four things that help me to be a better presenter. There are different types of people – leaders and followers, talkers and listeners, and extroverts and introverts. We admire leaders, talkers, and extrovert types when it comes to presentations since they are naturally inclined to be good at public speaking. I would like to encourage my fellow introverts by saying that we can be good at this as well. It is important to embrace your strengths and hide your weaknesses. For example, I know that my public speaking skills are not the best; therefore, I tend to embrace other elements of my personality such as being friendly and positive. I prefer using softer and easy vocabulary to powerful or difficult words. Having an energetic and positive attitude, being polite, and smiling will never betray you but instead, will make audience be on your side. When you feel as though your audience is rooting for you to succeed, you will feel more confident. Don’t be jealous of other types of presenters, but build your own speaking style by embracing your strengths! Be a storyteller and choreographer. The audience will know if you are an expert or amateur based on your presentation. They will automatically fall into your speech if you talk with passion and excitement as if you are telling a story. Don’t try to lecture people with arrogance but give them information simple enough for them to understand. Albert Einstein said, “if you can’t explain it simply, you don’t understand it well enough.” A personal or well-known story is a great supporting statement that the audience can easily relate to. After constructing your storyline, choreograph your presentation with a smooth but exciting flow of body gestures and dialogue. Feel free to use body language and facial expressions, and vary your tone of voice. Since the presenter is mostly the one who speaks, it is important to communicate with the audience by the making eye contact. Looking at the audience’s eyes is crucial; it builds intimacy and trust. Attract and spread the audience’s attention. We spend most of our time doing research and writing our speech, but many people underestimate the time it takes to create effective visual aids. Strong visuals are more than decoration. They are like icing on a cupcake, enhancing the content’s flavor. Research has found that people retain more information when meaningful, well-designed visuals are paired with a presentation. Imagine a presenter who only talks with no visual elements. It is not only boring, but also the presenter gets extra attention that can cause anxiety. Using a visual aid is a great method to attract and spread the audience’s eyes. You can use any materials such as whiteboards, posters, photographs, or presentation software such as PowerPoint or Keynote. A weak visual display with funky fonts or over-stylized type, clashing colors, and distracting backgrounds will detract from your professionalism even though you have done great with speaking. A strong visual presentation will help build your confidence and take focus off of you and put it on the information instead. Embrace your design skills to step up your presentation or hire a designer. Practice until you make no mistakes. I know that it sounds very cliche but practice is the most important element in a successful presentation. I have seen many of my peers who do not practice their presentation. Most of them were confident that they could do well without practice but their presentations weren’t good. Even if you are good at free-talking, you shouldn’t feel confident not to prepare your script. Having a script on hand in order to keep yourself on track is perfectly okay. However, if you read the whole script you won’t look professional or prepared. Therefore, I suggest you memorize your script until you feel comfortable with it. I rehearse more than 10 times to be satisfied with a dialogue and flow. I even practice my body language. The best way to create a smooth and energetic flow is to practice in front of your family or friends. These four elements might not apply to every person but they have helped the introvert in me to get prepared and be confident in front of an audience. Not everyone is a gifted public speaker but you can be a unique individual presenter with your own style of speaking and visual elements. So, fellow introverts, do not hide in the shadows anymore. Find your own style and overcome your fear! 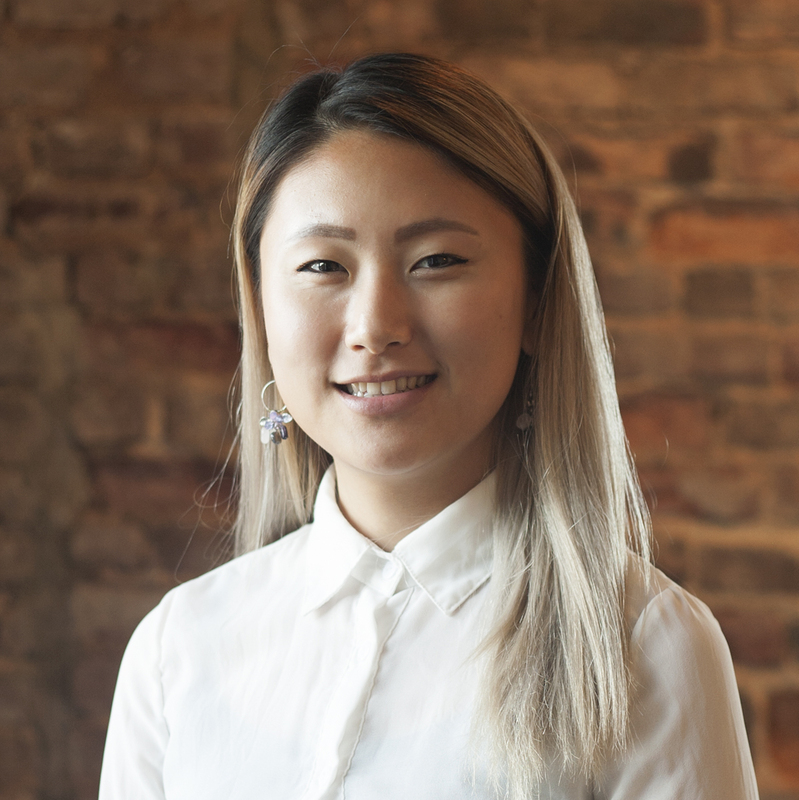 Jiyoung Park is a rising senior at UNC-Greensboro where she studies New Media and Design, International Global Studies, and Media Studies.